I love popsicles, and since we are full on into popsicle season I think it’s time for a recipe. Although, full disclosure…I will eat them all year round. 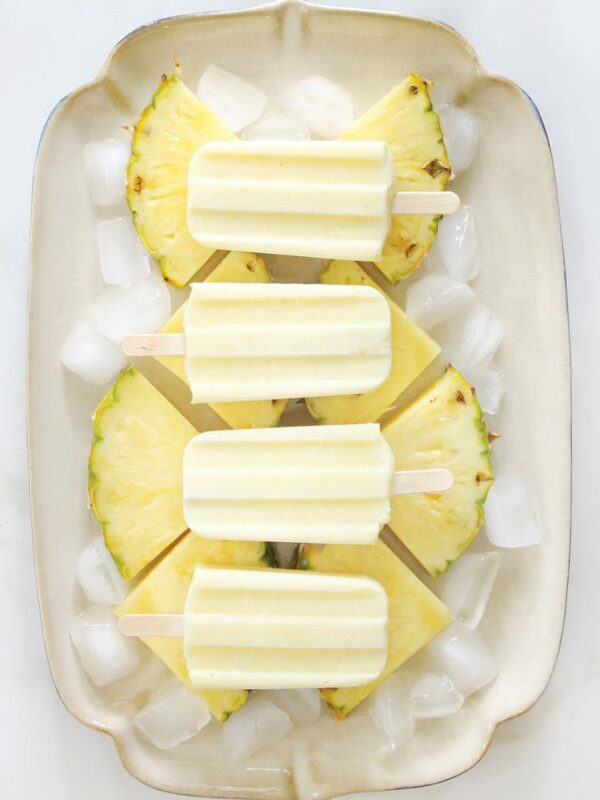 These piña colada popsicles are super easy, have only two ingredients, no added sugar and are delicious. All wins in my book! Freeze in popsicle molds overnight. Oh My! I do believe I will be making these for our 4th of July BBQ! Thanks so much for sharing. Great, I hope you like them Pauline! Great. I hope you do Alanna!